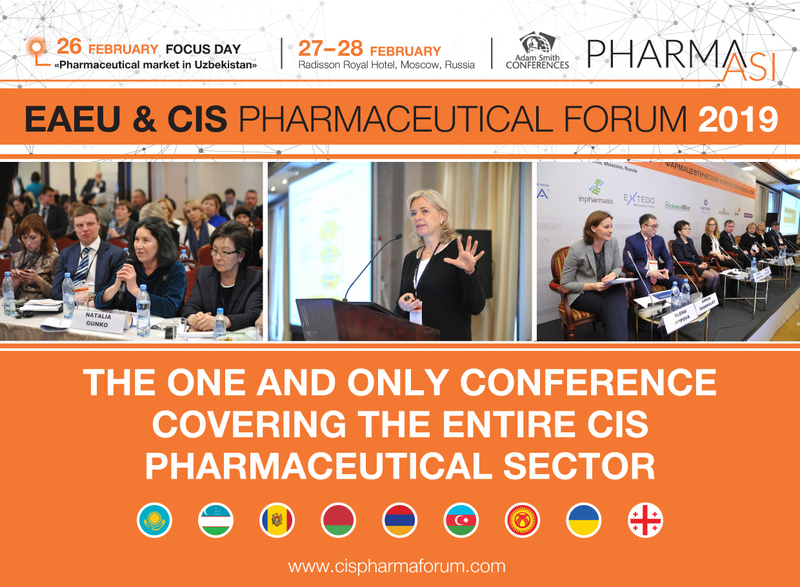 The EAEU & CIS Pharmaceutical Forum provides a unique opportunity to be updated on development trends in the pharmaceutical markets in EAEU & CIS countries and to define your company’s strategy for the nearest future! Join 300+ participants who will be attending the forum in Moscow on the 26th – 28thFebruary. Along with pharmaceutical drug registration questions, Day 1 of the main conference will address issues of intellectual property protection, pharmaceutical products labelling and the conducting of GMP inspections in the Eurasian Economic Union. We would like to inform you that colleagues and partners of AIPM Ukraine are eligible for 15% discount with vip-code. * Each registration is approved by the Conference Organizer. The organizer has the right to refuse registration without explanation.